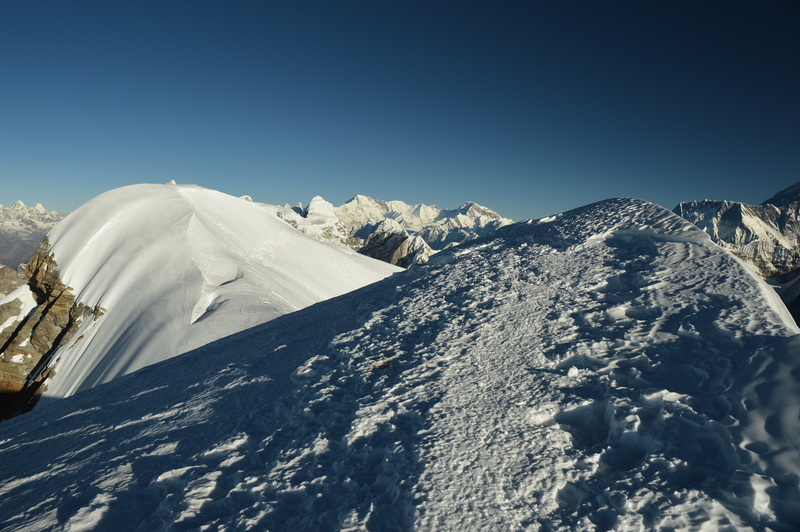 Mera Peak rising at the altitude of 6,476 m is located at the Mahalangur section in the Himalaya of Nepal. 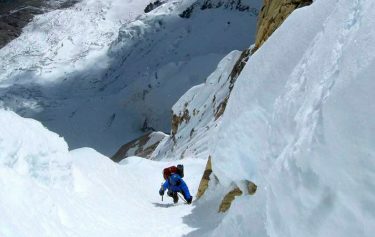 For the non-experienced climbers, Mera Peak is a favorable option reason being it is an easy climb despite one interesting fact that it is the highest trekking peak in Nepal. One of the major attractions of Mera Peak climbing according to the climbers is the panoramic view of five eight- thousanders viz. Mt. Everest (8,848 m), Mt. Lhotse (8,516 m), Mt. Cho Oyu (8,201 m), Mt. Makalu (8,643 m) and Mt. Kanchenjunga (8,586 m) from its summit. The peak was first ascent by a Jimmy Roberts and his Sherpa Sen Tenzing in 1953. 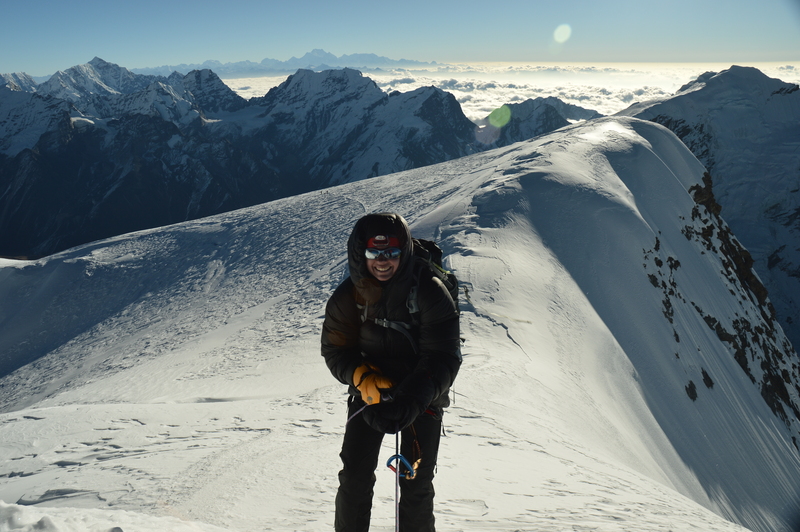 Peak consists of three major summits: Mera South (6,065 m), Mera Central (6,461 m) and Mera North (6,476 m). 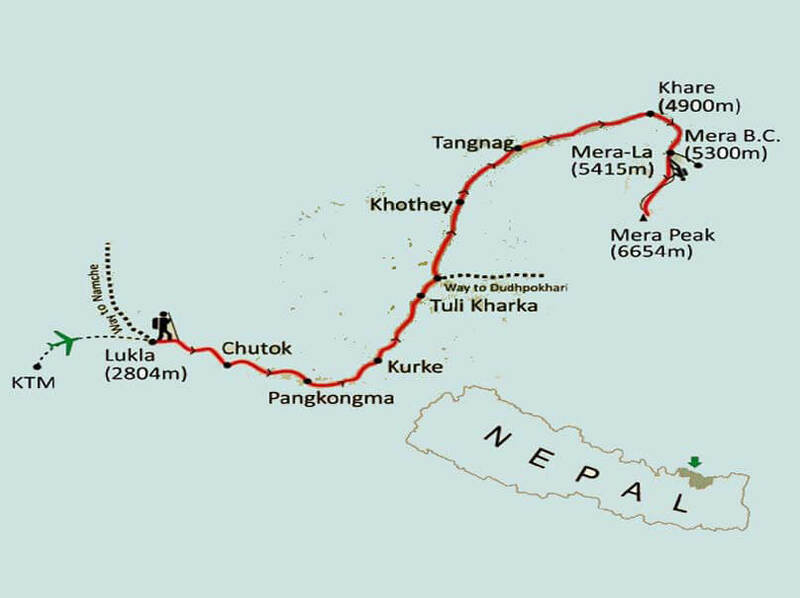 The journey of Mera peak climbing begins with a flight from Kathmandu to Lukla taking you through some remote villages in the mountains. This pristine territory of the Everest region is rich both naturally and culturally. The dense pine forests, fields of green and sparkling rivers running down the mountains all surrounded by white snowcapped mountains, the highest ones of the world. The old Sherpa culture adds to this lifetime experience. Their warm nature makes trekkers feel at home at every stop during the whole 2-3 weeks of expedition. 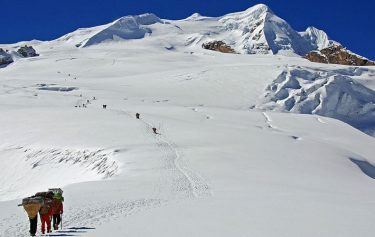 Mera peak is said to be a straightforward climbing as the snow inclines less than 40 degrees and at the final fifty meters of the mountain requires skills like ice pick, ropes and crampons. 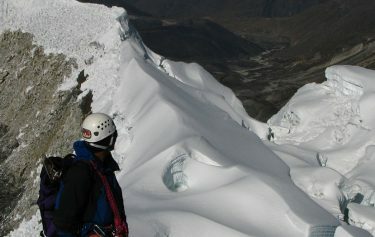 For the new and unprofessional climbers, they will be provided with trainings on necessary skills and techniques under experts’ guidance prior to the trekking. It is better to take the whole trip in a slow and constant pace as it helps acclimatize the body. 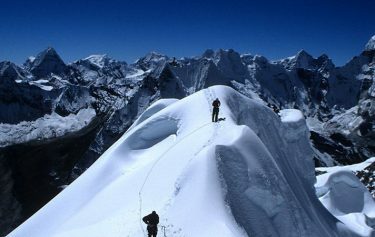 There are several routes of Mera peak climbing . There is one where you can skip going past the Zatra La pass that saves you from steep climbing above the pass. Almost 50 per cent of the trekkers choose this option. Another popular Mera Peak climbing trail is through Zatra La pass as it is faster in comparison to other routes. After a flight to Lukla, the next day you cross Zatra La pass covering a total distance of 1,790 m in one day. Less time for acclimatization is a drawback because of the quick gain in altitude which is why this route happens to be the best choice for veteran climbers. The longest route is the trek of 23 days which unlike the rest heads directly to the southeast to Surke La from Lukla leading you to some remote and unspoiled villages and valleys to Panch Pokhari. Whichever trail you choose to follow, there will always be a professional guide to give you instructions and information to ensure trekkers’ safety and comfort. 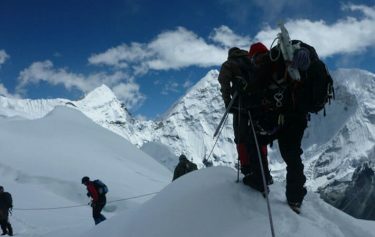 Mountain climbing in Nepal is mostly seasonal. The three months of spring (March, April and May) and autumn (September, October and November) are considered as the best seasons for the climb. Some expert climbers think winter to be their favorite season as there will be fewer crowds. Trip Highlights of Mera peak climbing. Panoramic views of Mt. Everest, Makalu, Chamlang, Baruntse, Melungtse, Amadablam, Thamserku, Pumori, Tower Peak, Kusum Kanggru, Kanchanjunga from summit. Different Community with majority of Sherpa, Tamang, Chhetri, Brahamn, Newar. Great Himalayan Landscape. Day 02: Rest and arrangement day. Day 06:Ningsow -Chhetra Thanga. 3,300m. Day 07:Chhetra Thanga -Kothe (Mosom Kharka) 3,691m. Day 08:Kothe (Mosom Kharka) -Thangnak. 4,200m. Day 11:Khare -Mera La -Climb To High Camp (5,800m) - Down to Base Camp. Day 13:Summit Day (6,461m) and back to khare. Day 15 :Khare to Kothe (3600m/11808ft): 4-5 hours. 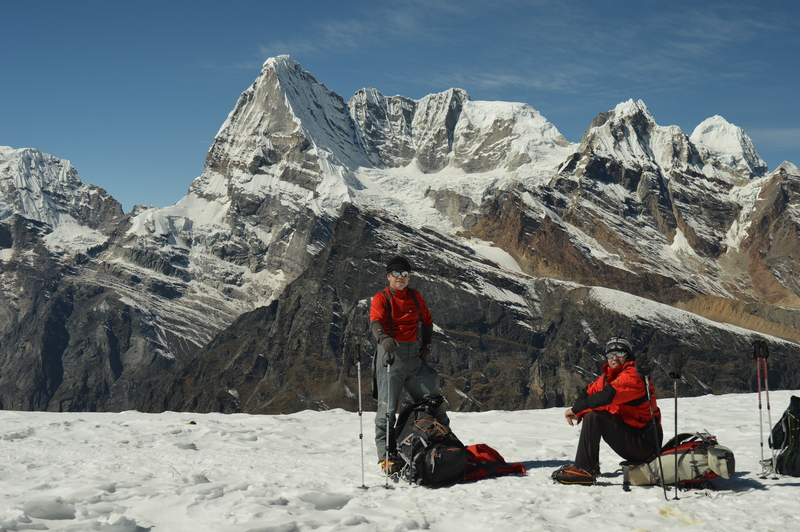 Day 16:Kothe to Thuli Kharka (4,300 m/14,107ft): 5-6 hours. Day 17:Thuli Kharla to Lukla via Zatrwa La pass: 6-7 hours. We will pick up from the airport and transfer to the hotel in Kathmandu. Day 2: Rest and arrangement day. This day is for the arrangement day, such as check equipment and documents for the climbing with introducing your guide / porter staff. As an option we can also do the Kathmandu sightseeing. 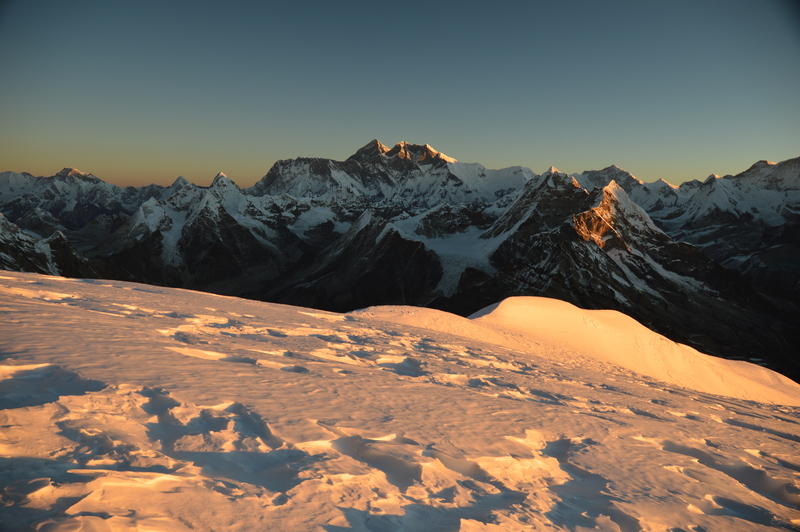 An early morning stunning flight to the gateway to the region of the legendary Sherpas. We descend steeply towards the Dudh Koshi (the torrent that thunders from the flanks of Everest), climb steeply up from the far side of the valley to where there are spectacular views both upwards to Cho Oyu and down into the plummeting canyon to the river below. continue through rhododendron forest that in the pre-monsoon is awash with reds and pinks. The huge Magnolia trees add their large white flowers to the canvas as we enjoy a level walk to our night stop in Puyan. We set off on a gentle 1.5 hour climb to the Khari La pass (2,860m), with today destination already visible in the distance as we pass through dense forest with occasional glimpses of the white peaks emerging above the clouds. A gradual hour-long descent to lunch is followed by a steady climb for 2 ½ hours to Pangum. A short climb brings us to the Pangum La (3,010m) where we cross over into the fabled, awesome and empty Inkhu Valley and we pass through the village of Bhusme (approx. 1hr on), which is the last permanent habitation we shall see. It is another 3 hour walk to our night stop at Ningsow. climbing and descending the steep and rugged spurs that line the Inkhu Khola valley; the glimpses through the dense forest of the torrent below us are truly dramatic. This is the Himalayan river torrent of steepest descent cutting a jagged incision through this ancient glacial valley while the trail encounters landslides as it clings to the V-shaped valleys precipitous western edge. The finale to the raw, natural feel of todays trek is our camp in the only suitable location. A short but steep 500m climb after breakfast offers interesting views; South to the rolling foothills of a few days before, North to Mera Peak itself and our first sight of its dramatic southwest face. The forest is untouched, beautiful, tall pine and moss, lichen and rhododendron creating a peaceful soulful feel during todays walk as we descend to the upper Inkhu Khola and arrive at a few huts and the summer yak pastures that is Kothe. The scenery is taking on a very different character now - Peak 43 sits at the head of the valley and to our right in the east and in morning shadow is the dark west face of Mera. At lunch, with Mera as a backdrop, the reality of it all arrives like a doubtful guest - one you are not sure you should have invited! This guest then accompanies us into camp and will be with us for the next seven days. Day 09:Thangnak - Khare. 4,900m. Trail to Khare takes us eastwards across the moraine of the Dig Glacier. Though the climb up the moraine is not steep, you will feel the effects of the altitude and it will be a couple hours before we reach open pasture at Dig Kharka. There the trail levels out before crossing a stream and climbing for another hour to Khare. We have trekked in a northerly arc and are now rewarded by stunning views of the north face of Mera. 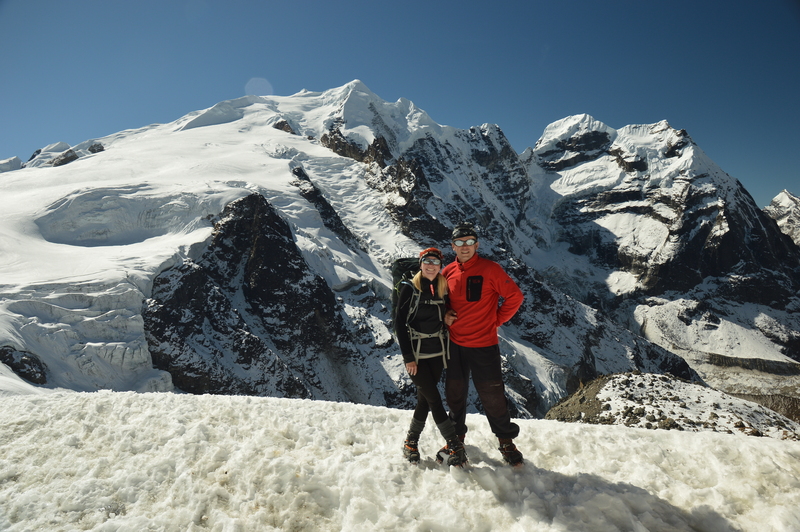 Day 10:Khare -Mera La (5,415m) and back to Khare. Acclimatization. Following the now familiar route back up the glacier we should find todays climb easier than yesterday. Our team consists now of the summit party supported by a cook plus any others needed to porter but who will then descend to wait at Khare for our return. Arriving at High Camp mid-afternoon, we spend the rest of the day resting and eating in preparation for a pre-dawn start. Day 13:Summit Day (6,461m) then descend to Khare. Emerging from tents around 2 a.m. for the arduous climb to the summit. Navigating up a snow covered mountain under Himalayan star light is a very unworldly feeling. Sunrise means gaining the first of the false summits and a few hours later our goal will be close, with the final test a number of crevasses that line our trail before the gradient steepens dramatically. We rope up and painstakingly ascend the final steep hurdle to the summit of Mera (6,461m). The panorama of peaks that greets us from the summit will blow all notions of tiredness from our limbs. The view from here has to be one of the finest in the Himalaya,down the Mera Glacier, past High Camp and back down to Khare. It’s been grueling but topped by an incredible sense of utter elation, achievement and fulfillment. This day is set aside as a contingency in case we are unable to summit the Mera on the desired day due to bad weather conditions or any other unanticipated reason. However, If the weather is favorable we do not need an extra day. We trek from Khare to Kothe along the same trail used previously. we celebrate our success at Kothe. Climb up and descend, cross several tributaries of the Inkhu Khola before reaching a forked trail nearby Taktho. Trail passes by a Chorten after which we walk downhill on a steep trail, ascend to Thuli Kharka and pass by another Chorten on the way. We cross the Zatrwa-La pass at 4,600. From Zatrwa La pass we walk all the way down to Chutang and then straight forward to the Lukla village. We catch an early morning flight to Kathmandu and transfer to your hotel in Kathmandu. Flight from Kathmandu- Lukla- Kathmandu for the member and crews. All Meals during the trek and camping. Porters to carry member baggage 15 to 18 kg per person. Emergency rescue arrangement if incase , pay by your travel insurance. Sleeping ,bag down jackets if you do not have your own, to be returned after the trip. medical kit box with normal medicine. What kinds of gear and clothing do I need? Good hiking boots and proper mountaineering boots. You need good gloves to keep your hands warm on summit night and gloves that you can use when climbing using ropes, carbines, adjusting figure of 8 and adjust all mountaineering equipment. Depending on the month it can be as low as -20c you need to wear a warm hat with buff to cover your mouth. A buff keep moisture, A down jacket is a great piece of kit, you can wear at night while relaxing and you can use for your summit bid. wide range of cloths. 15kg is your weight limit for our yaks to carry. You will carry rain gear (for the many days on the trek), fleece, or down jacket, camera and 3 liters of water (depending on the day) You can wear shorts for the right number of days, but most people prefer trekking pant. 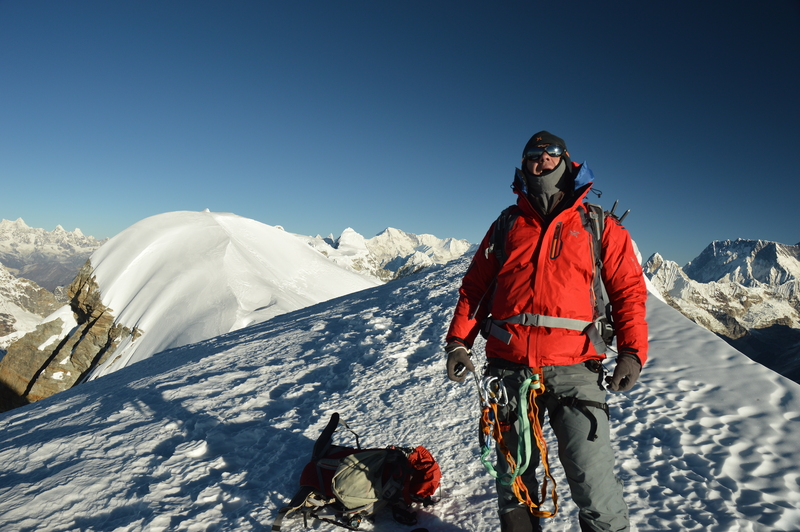 Higher up you will use gortex shell and thermal underwear for summit night. You will need sock liners, wool socks and a couple of light layers heading into Island peak base camp. Wicking layers (merino wool), mid weight fleece layer. Make sure you have trainers to change into once you reach the camp each day. Merino wool from Smart-wool or Icebreaker are great layering products. What is the best season for peak climbing in Nepal ? 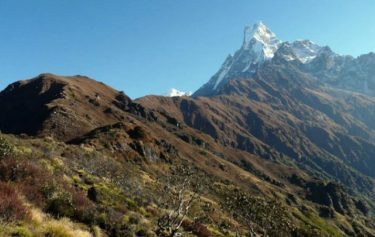 March to May, September to November Is the best season for peak climbing in Nepal. How difficult is peak climbing in Nepal ? What is the Normal success rate of peak climbing? It depends the peak you choose, climate, weather, health and the peak grade: roughly the success rate of peak climbing is above 95% from our company. What equipment does company provide and can we rent some? You can hire or buy personal equipment needed for peak climbing, Normal gear like Sleeping bags and down jackets will be provided by, Exciting Nepal treks. If you like you can also hire from our own company. Yes you can charge your device like mobile, camera and chargeable device during the trekking Area only, but during the camping we can not. 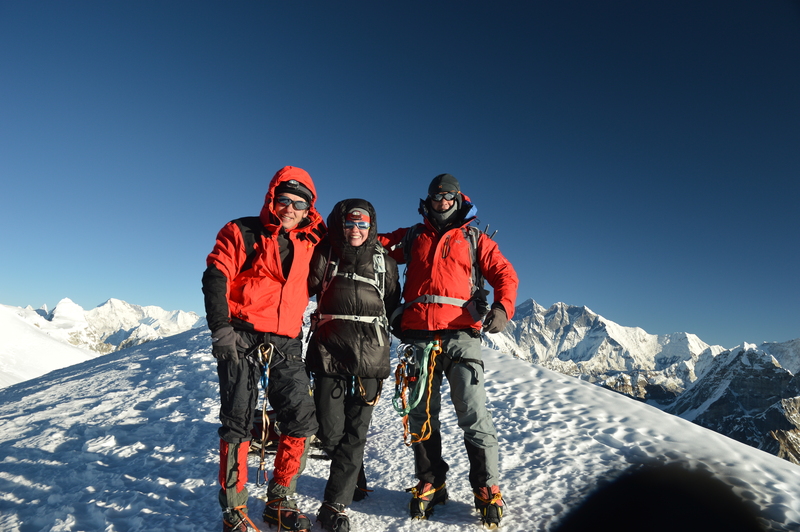 Our Company provides veteran, qualified peak climbing and mountaineering guides. 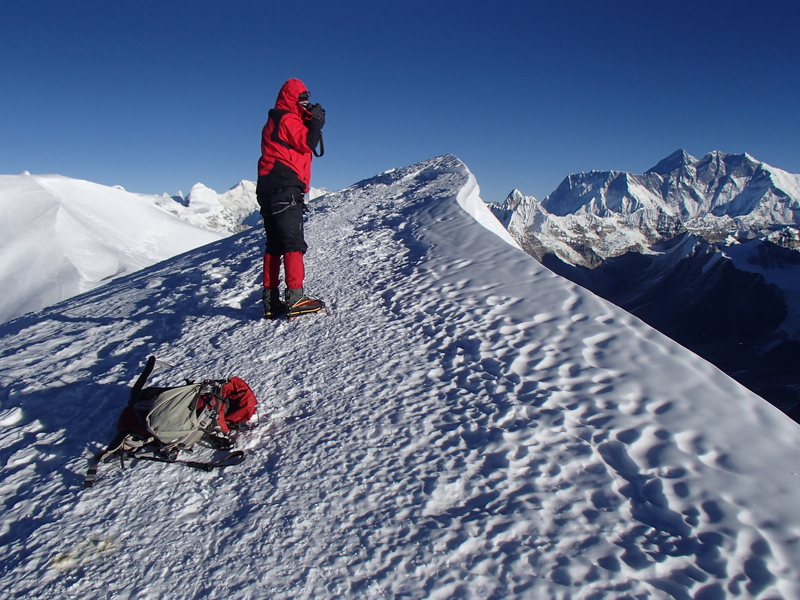 Exciting Nepal Treks and Expedition will provide certificate which is provided by NMA. Depending on the seriousness of the accident we provide first aid if not then company can arrange the evacuation operation to the nearest medical facility and in case of any emergency, company could bring you to Kathmandu Hospital. Do I get refund if I become sick before peak climbing or after the trip departure? If you become sick before the departure informed us before 35 days 80 % of amount will be refunded, after that we deduct the cost of permit and flight as well as 33% trip cost will be chargeable, No refund will be provided after a week as well after the trip departure. Nepal Mountaineering Association: issue permits which is needed for peak climbing and our company will assist you on getting the permit. https://www.excitingnepal.com/nepal-peak-permit-fees/ please check the information.